An All-Female Ticket for 2020? Kamala Harris says she would consider a woman for vice president. So does Elizabeth Warren. The post An All-Female Ticket for 2020? appeared first on The Nation. 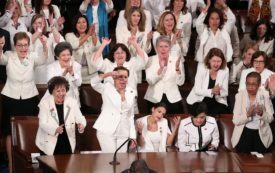 Read more here:: An All-Female Ticket for 2020?